In the interest of hygiene all bathers must shower before swim. Bathers must wear a swim cap. Children under the age of 8 must be directly supervised by an adult in the pool at all times in the ratio of one adult is to two children. Infants and children who are not yet toilet trained must wear an approved swim nappy. Running, pushing, wrestling, or causing undue disturbance in or about the pool area will not be tolerated. No glass containers or food of any kind are allowed in the pool area. 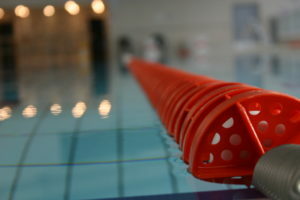 Ball games are not permitted in the pool (unless part of an organised activity). Persons who have recently consumed alcohol will not be permitted to use any of the facilities. Proper swimming attire must be worn in the pool including swim hats. Suitable pool shoes or shoe covers must be worn in and around the pool area at all times. Prams and buggies are not permitted in the gym or pool area. The Lifeguards’ instructions must be followed at all times. The pool must be vacated 15 minutes before closing to allow sufficient time for showering. Management reserves the right of admission and has absolute right to remove any guest or member at any time. 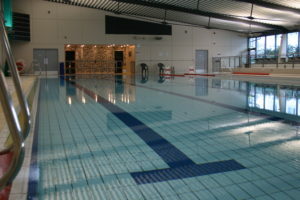 Claremorris Leisure Centre does not accept any liability for any loss or injury in or around the building.